The Awards, which took place at the Law Society, are a major highlight of the Indirect Tax world’s calendar, recognising achievement and endeavour across the world of Indirect Tax, and hosted by BLT Recruitment and sponsored by Chartered Institute of Taxation. This year the calibre of nominations was exceptionally high, with Martin Scammell succeeding over other candidates from the 'Big Four' and The Chartered Institute of Taxation to scoop the award. “My congratulations go to Martin for such a deserved achievement within this complex area of tax. He has always been at the leading edge and we are delighted that our clients can rest assured with access to his insight and expertise”, stated Managing Director Alun Oliver. Martin is a Consultant with E3 Consulting and has been worked closely with E3 since 2009, and previously worked with Alun Oliver at a Big Four firm. He has over 25 years' experience in the complex field of VAT, specifically on property and construction issues. 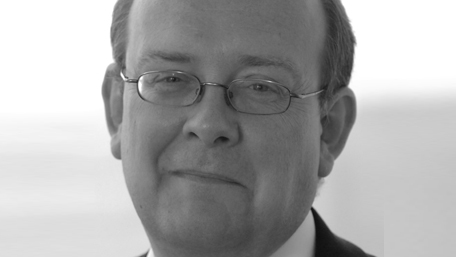 Martin is technical secretary to the British Property Federation's VAT committee, a member of the VAT Practitioners Group and has been influential in the development of VAT law and policy. He is the author of the leading reference work on VAT and property, published by Bloomsbury Professional, and contributes to several other publications.